What are Eco Bricks and what can you do with them? We’ve been finding out! We are getting more and more conscious of our eco foot print and we are trying to make little changes. 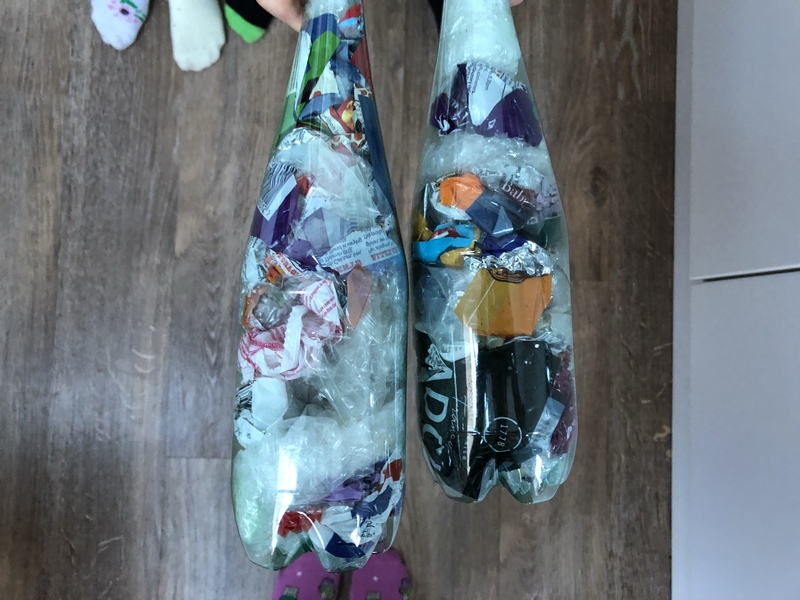 for years we have tried to make teacher and Christmas presents like our slow cooker fudge and sort our recycling and buy and give to charity shops but one thing that doesn’t change is that we seem to have so much plastic despite every effort. Recently we have been trying really hard to cut down on our purchasing of it but all the non-recyclable waste left after a food shop seems so horrendous, all the film on the fruit, salad bags, it’s all non-stretchy plastic and it feels so wasteful to just throw it away knowing it’s going to sit in landfill for the next goodness knows how many years. Plastic bags and stretchy plastic can go to supermarket bag recycling, plastic food trays can (mostly, check your area) be recycled but there is still so much that can’t and now we have a solution. When I saw a video all about eco bricks, I was really intrigued and knew I wanted us to get involved. 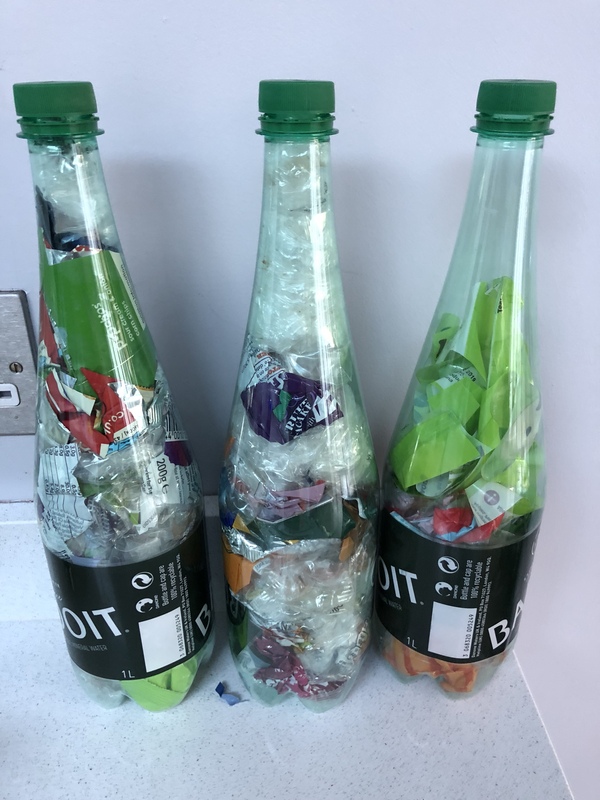 The idea is that you collect all that un-recyclable film and then cut it up into strips and push it onto a plastic bottle with the handle of a wooden spoon or similar, really pack it in tightly and then when it can’t take any more, you put the lid on and you have a reusable eco brick. Best of all, the children are absolutely loving making the eco bricks and so getting really involved. So what next? Well this is where it gets fun! 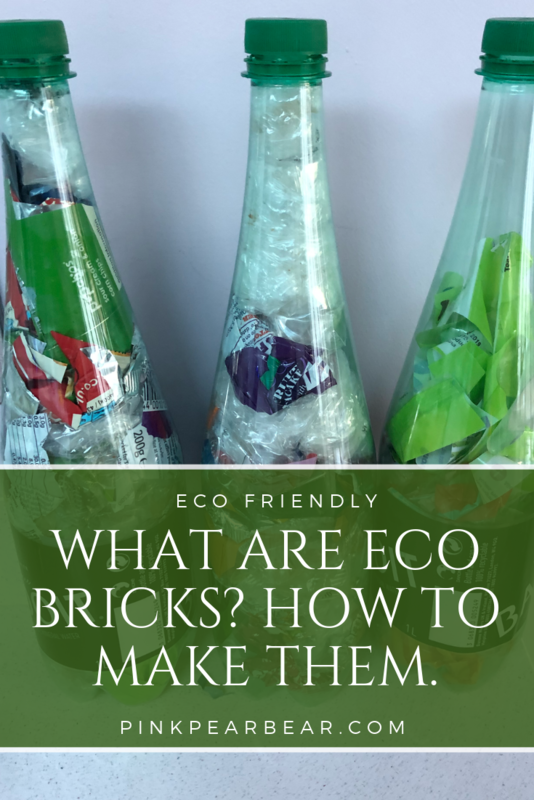 You can build things with eco bricks, or, if you have nothing to build yourself, you can download an app to find people that are looking for eco bricks for their projects and donate them to them. People across the world have been using eco bricks for all sorts of projects, benches, stools, walls, even houses. 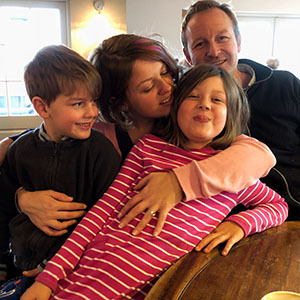 You can find out more about technical aspects of weight of bricks and lots of build ideas on the eco bricks website and there is also a facebook group for the UK stuffed full of ideas! Although it feels a bit sad that our building legacy is going to be plastic bricks filled with our plastic waste, it isn’t going away anytime soon and it feels good to be doing our little bit to cut down on plastic in landfills. I’d love to hear about your eco bricks builds! I love this Louise! 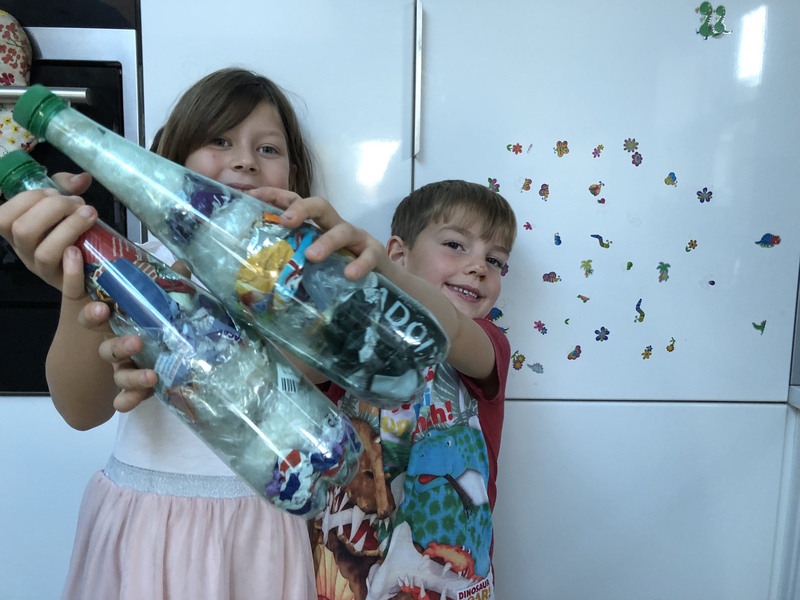 We’re doing it too, such a great way to teach children about non-recyclable plastic and make something useful from it.